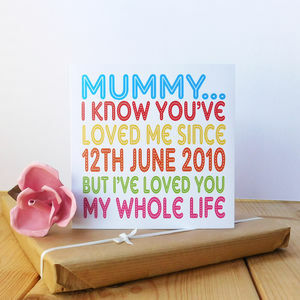 Saying it simply and boldly - what a marvellous mum! 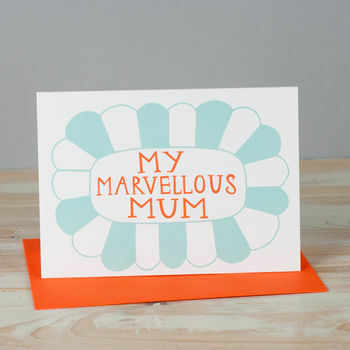 Hand drawn type based card stating clearly and unfussily how great your mum is. 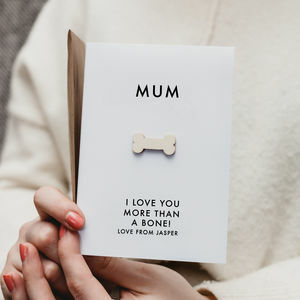 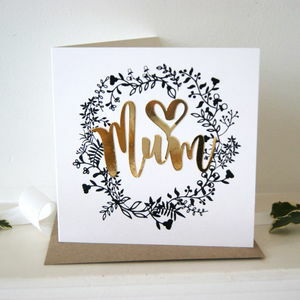 An original and unique Mother's Day card designed by Alison Hardcastle in her Yorkshire studio. 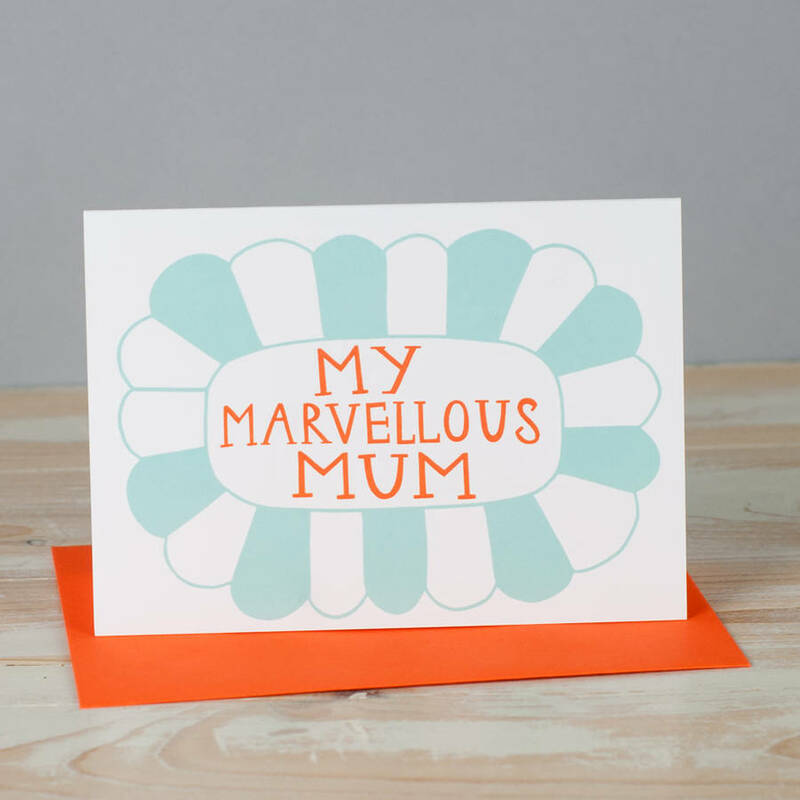 With a co-ordinating orange envelope. 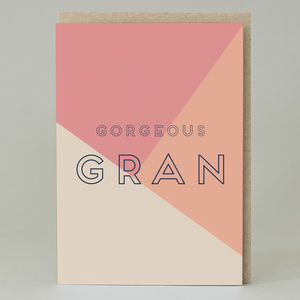 Printed on beautiful 280gsm white card.